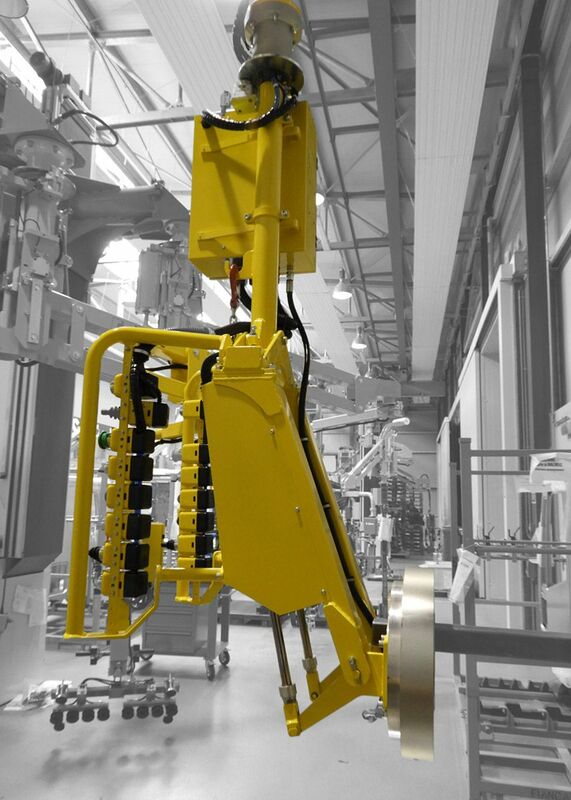 Vacuum lifter Partner Equo, overhead trolley mounted version, equipped with suction cups tooling for the handling of aluminum sheet rolls with different dimensions and weights. The tooling is able to pick up the piled rolls, to tilt them through 90° thanks to a pneumatic device and to release them in a vertical position. 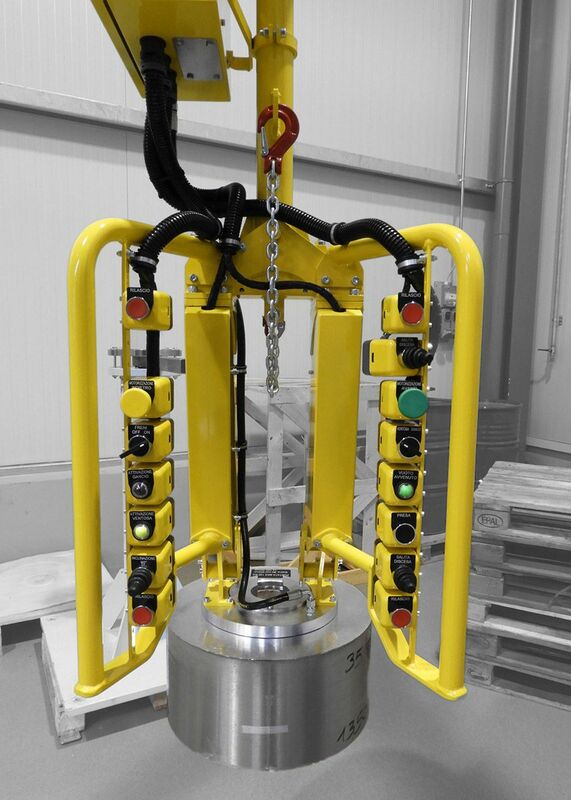 The Manipulator is supplied complete with an overhead trolley to run in a tracking system, composed of two opposite aluminium U sections with connecting and stiffening ribs,complete with attachment points for an overhead suspension and end buffers. The junction between the various parts is done with screws. 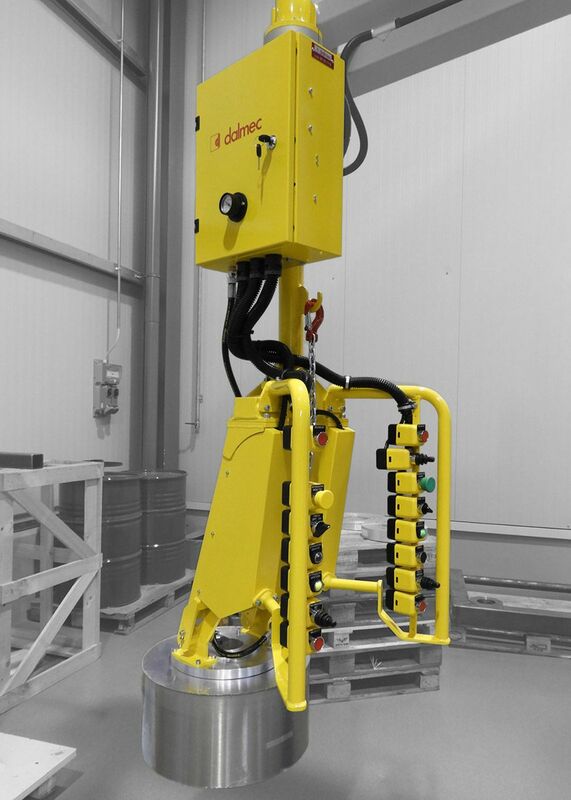 Manipulator Partner Equo overhead version equipped with suction cups tooling for handling rolls of aluminum sheet having different size and weight, ideal for loading and unloading automatic warehouses.